This is the first of two pieces of research we’re featuring this month on the state of the insurance industry in India. They each might be described as examples of glass half full/empty and this one for the Pahle India Foundation focuses on the latter. It would appear that almost two decades since deregulation, the Indian insurance market is stagnating, despite the growth in the population. Life cover is a shrinking market, and though there are several factors offered, but the primary one is that the traditional distribution infrastructure is broken. The group policy has fared well, and makes up 53% of the life market. This is true also of the non-life sectors, where demand for health cover is driving increases here. However, the structural problem of distribution is holding back development of the market. The industry simply isn’t reaching – or reaching out – to consumers to develop the individual market and large numbers of those in the informal, self-employed sector will lack cover. This is not only a problem in India, but is the experience across the world. 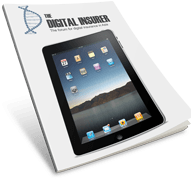 Going digital appears to be the obvious choice for the Indian insurance market and a cradle to grave – or application to claims – experience is to be preferred. Making use of the internet of things, including wearables, apps and other devices, will greatly improve access to risk data, making pricing more accurate. It will give the industry opportunities to offer special premiums for those who mitigate their risk, particularly in the auto and health sectors. The authors suggest blockchain based solutions that should help to reduce the risk of hacking, but Indian insurers must up their game if they are to compete. It recommends that digitalisation should focus on reducing “bureaucratic bottlenecks and implicit cost involved in getting an insurance policy…to establish a scalable and sustainable policy environment”. 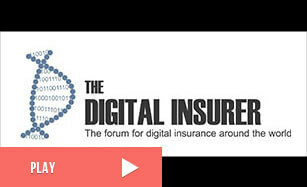 This would allow details to be completed online and remove the need for the consumer to visit the insurer’s office. The rules governing bancassurance have been changed to allow banks to have multiple partner relationships, offering greater choice and competition. The paper also suggests using the group approach via non-governmental organisations, micro finance institutions and support groups which consumers have faith in, to provide access to the rural market. Financial literacy is very low in general, but according to the 2014 National Centre for Financial Education’s financial inclusion survey, it was only 15% in rural areas. Alongside education comes product development, which should be tailored to appeal non-urban customers and more flexible products to serve those working in rural or informal sectors those of different demographies. Almost half of consumers say insurance is not affordable. However, their risks are loaded as they do not have any transactional financial history. The paper recommends a new approach to credit checking based upon utility bills, not credit history. Finally, regulation must adapt to the needs of the industry and reduce innovation with unnecessary red tape. Offering a regulatory sandbox would not only allow providers a safe zone to develop products in full view of the regulator, but allow the regulator to adjust arcane regulation that doesn’t accommodate innovation – or serve any consumer protection benefits. Though the overall tone of this paper is not overly positive, it does identify a number of crucial developments that must be implemented together in order to improve the future prospects of a sluggish Indian insurance market. These challenges are, however, the same faced by insurers in developed and developing markets. It is therefore not an isolated problem and the solutions being developed elsewhere will find a home in this rapidly expanding market.